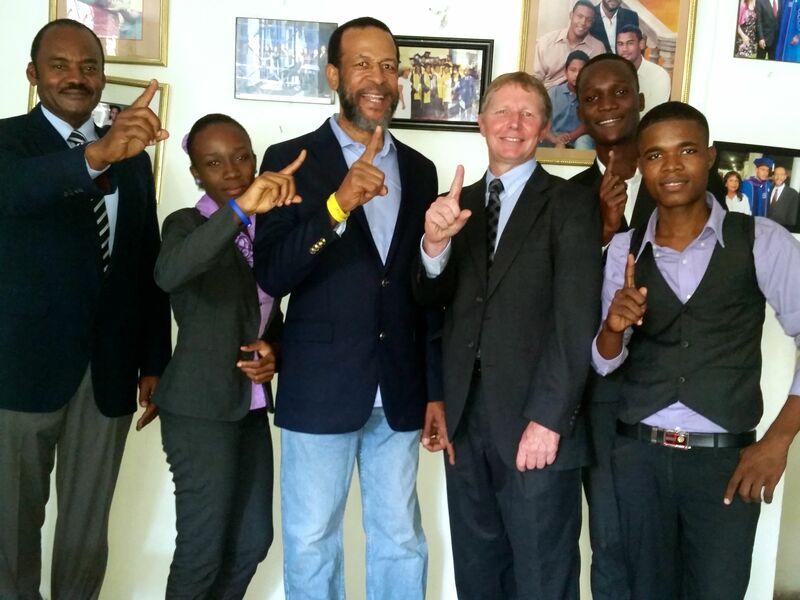 Dean Georges Brunet, Dr. Michel Brutus, 3 students, and Greg Cronin show One Love. Yon Sel Lanmou President Greg Cronin is now an adjunct professor at Centre de Formation et de Développement Économique (CFDE) University. He will co-teach a course in project development this spring, and teach ‘aquaponic farming’ once the FEED HAITI aquaponic system is operating.